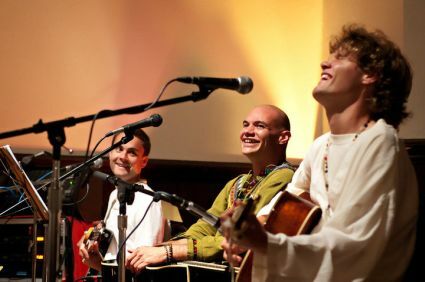 Date & Time: Wednesday, July 6th, 7:30 p.m.
Pranam is an ensemble of musicians from Prema Drala Ashram in Laguna Hills, California who will be coming to Racine Wisconsin to give an evening of world devotional music. They blend music styles from all over the world to create a sacred and uplifting musical experience. Pranam visited Racine in September 2010, and return this July once more to share their musical gifts. Enjoy an evening of music for the whole family!